Dr. Antonio Armani developed a classification of "Hair Loss Zones". The zones divide the scalp into four geographic areas to be transplanted. This allows clinic and its doctors to calculate density distribution of hair. It also allows predicting the future work that maybe required as hair loss progresses. Zone 1 (one) defines the frontal hairline which represent the first 2 cm (approximately on inch) of the hair transplant area; this is the most important zone as it must be done with an artistic design with thousand of varying angles. The temple angle closure is included in zone one. It is extremely important in framing the face and highlighting the facial features. Zone one is also the most important zone for maximum density. This creates the thicker look that represents the trademark Alvi Armani hair transplant. This combination of artistic design, temple angle closure and maximum density creates a natural look. In many ways zone 1 is the key to hairline design. Zone 2 (two)is the middle area behind zone one. It is also completed with an artistic design and decreasing density - to blend the hair in with the patients existing hair. Zones 3 (three) and 4 (four) are located in the middle and back of the scalp. These zones are created using circular patterns of low lying angles allowing the hair to sit on the scalp rather than stand. As such a smaller number of grafts are used to cover a larger are in an artistic way. 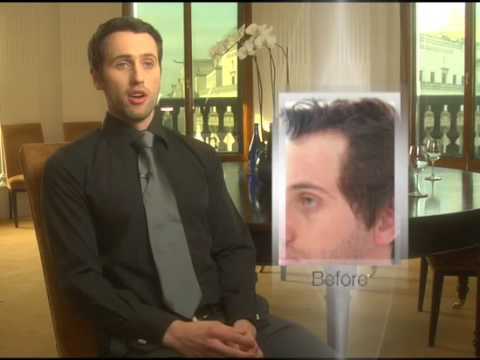 The Alvi Armani Hair Loss Zone is now used worldwide by many other clinics as a formula to calculate number of grafts including density necessary in varying parts of the scalp in hair transplant procedures.